Ministers seek to get “settlers’ rights” approved alongside gay and lesbian rights. The ministerial legislative committee will hold a discussion Sunday on a bill put forth by MK Ofer Shelah (Yesh Atid) that would expand laws against discrimination based on sexual orientation. Sources in the Israeli leadership in Judea and Samaria (Shomron) revealed that the discussion will prove an opportunity to test the Likud party’s true values. The Jewish Home party is reportedly planning to attempt to add to the bill by including laws against discrimination based on place of residence or on age. 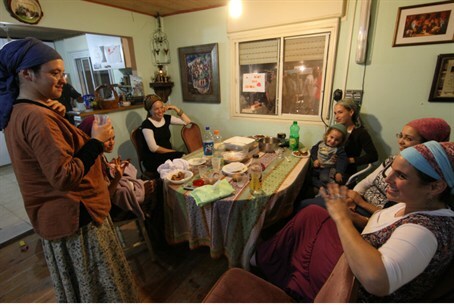 While laws against age-based discrimination would affect all Israelis, the law against discrimination based on place of residence is seen primarily as a law to benefit Israelis in Judea and Samaria. A previous proposed law to outlaw residence-based discrimination, put forth by Minister Uri Orbach, failed to pass. MK Shelah, who proposed expanding the ban on sexual orientation-based discrimination, has been an outspoken opponent of Israeli communities in Judea and Samaria. He has decried the presence of Israeli communities in the region as “occupation,” and has argued that the communities corrupt Israeli society and make peace unlikely. Likud ministers Limor Livnat and Gilad Erdan are expected to be the deciding voices during Sunday’s debate, giving them the power to decide whether Shelah’s bill will pass as is, or whether to add Orbach’s proposed anti-discrimination laws as well.